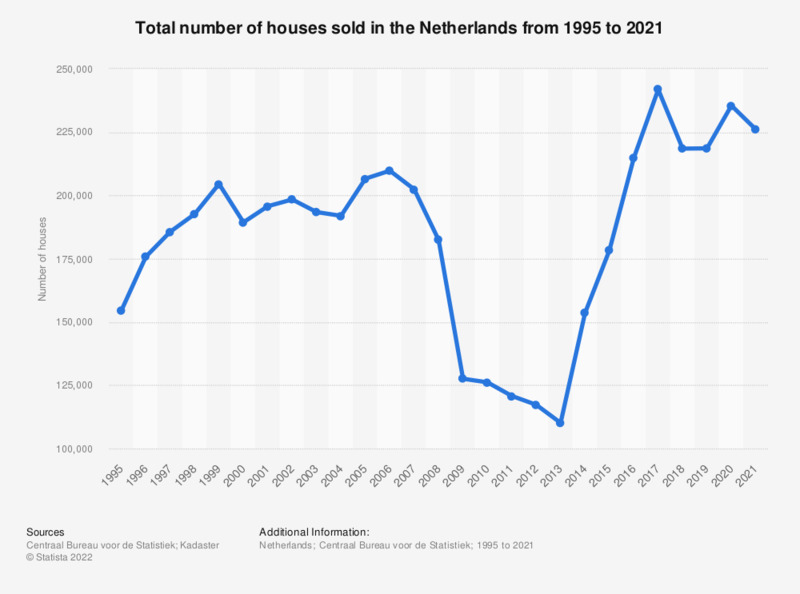 This statistic shows the total number of houses sold in the Netherlands from 1995 to 2017. The number of houses sold is the number of registered transactions from a house sold by a private individual. In 2017, approximately 242,000 houses were sold by private individuals. In recent years, the housing market has continued to rise in the Netherlands due to low mortgage rates, a recovering economy and a high level of consumer confidence. In 2018, housing prices are forecasted to increase with six percent. The number of houses sold is the number of registered transactions from a house sold by a private individual.